SLUG Mag's Brewstillery, A Local Beer and Spirits Festival, celebrates Utah's breweries and distilleries by offering tastings of local beer and spirits. Featuring local food trucks, local artisans and crafters, a Gaming Area sponsored by Social Axe Throwing and local music—this 21+ only event has something for everyone to enjoy. 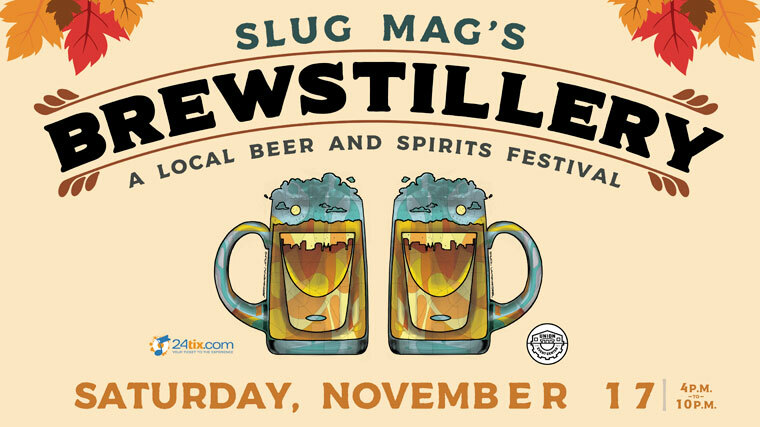 SLUG Mag's Brewstillery, is now a bi-annual event event happening each Spring and Fall. Each ticket (excluding Non-Drinker) includes 5 drink tokens and a commemorative Mug. Additional tokens can be purchased online with your ticket or at the event for $2.00 each.